After a short time he wrote: "If that is a question, then this is an answer." The student received an "A" on the exam. A Boston brokerage house advertised for a "young Harvard graduate or the equivalent." Among the inquiries received was one from a Yale grad. 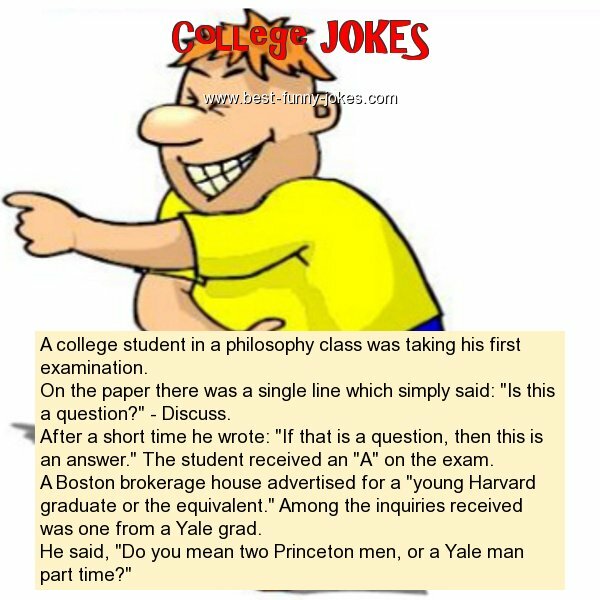 He said, "Do you mean two Princeton men, or a Yale man part time?"